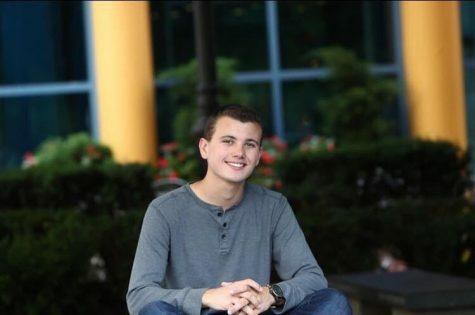 When asked to list five words that describe him, Vincent Patierno, Canfield High School senior, answered as follows: empathetic, happy, fun, patient and present. As an author of two books and editor of Journalism classes here at Canfield, Patierno has mastered the tasks of patience and being present. After high school, Vince plans to major in Political Science and Psychology, pursuing a graduate education in Mental Health and Wellness Counseling Psychology. He hopes to one point run for public office. Patierno is a believer in the principles of evergrowing self development, and greater value to the everyday life.